Florentine Plaque Plates are a top quality product that is ideal for creating professional looking plaques. Rich, marble colors engrave easily with a laser to reveal bright polished brass. Real brass plating will last for many years and is easy to engrave. 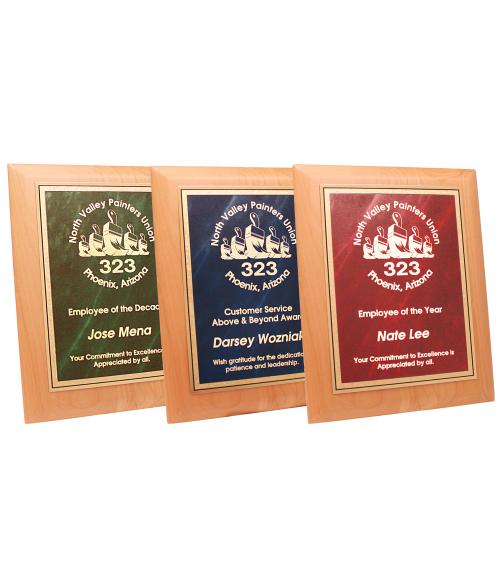 Text, Logos and Clip Art engraving on these plaque plates look elegant and professional. Florentine Plaque Plates are affordable and feature an elegant Florentine textured brass border. Available in ready-to-engrave standard sizes and three colors.